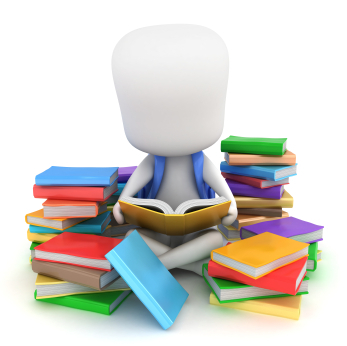 Book Reviews: Do They Help? Agents, editors, and publishers alike encourage authors to build platforms and engage with readers, well before books are published, whether non-fiction or fiction. I work in both arenas, so I launched www.kerriansnotebook.com (a crime fiction blog with non-fiction resource links) in December of 2011 and www.nightstandbookreviews.com (a book review site that I’ll refer to as NBR) in December of 2012. Jordyn Redwood and I chatted online and after reviewing Proof, her terrific debut novel, I shared with her some interesting patterns that seemed to be emerging with the book review readers. Three months after the website launch, reviews of books by male authors were being sought out more frequently than those of female authors. It has now been six months since the launch and that remains true. In the first six months, I reviewed 29 novels, featuring 15 female authors (5 debut, 1 indie) and 14 male. More than half the titles I review are in the suspense/mystery genres, but women’s fiction, historical fiction, adventure, and cozies can be found on the list as well. Spikes in the data for the book review site seemed to be tied to school (and perhaps work) vacations. I post new reviews on Thursdays. NBR gets the most hits for the reviews on Thursdays and Fridays, with the exception of the vacation weeks. The most read review? Joe Finder’s, Buried Secrets, a thriller. The second most read? Dee Henderson’s “O’Malley series.” Wahoo! A Christian writer in second place, just ahead of Lee Child and well ahead of a few huge bestselling males in the suspense/mystery genre. Initially, the review of her O’Malley series did not receive much interest, but two-three weeks after Full Disclosure was released, the hits on the related review on my site increased and continue to do so. During that same time, Ms. Henderson (or her representative) became involved in a Twitter promotion and retweets of my review increased. #3 thru #7 are male suspense/mystery writers (all bestselling authors). #8 – female debut author, legal mystery, ebook only. #9 – female author, women’s fiction, bestseller. #10 – female author, romantic suspense, bestseller. #26 thru #29 – female authors, a mixture of genres, 3 bestsellers. During the last month, the Dee Henderson review has moved into first place, by a LOT. The rest of the authors maintain approximately the same standings, with the top of the list after Dee still mostly men, and the bottom of the list, mostly women. Authors who have an active Twitter presence retweeted my tweets about their books (6-8 times a day the first two days of each new post) and that resulted in sales (they told me so) as well as retweets from other fans of mine and theirs. They were also higher in the rankings for my site. I continue to tweet about each of the titles, but most of the hits come from the first week of publication of the reviews. If the authors have a new book coming out after the initial week of my post, incoming links to the site indicate a specific search for the author. Most weeks, Twitter is much more effective for Nightstand Book Reviews than Facebook. FB is more effective for my crime fiction site. Half of the FB followers are personal friends and acquaintances, mixed with professional associates. Almost all the Twitter followers were initially unknown to me personally. Several Tweeps have become online friends whose work I respect and also promote. I follow a number of writers and bloggers who provide valuable sources of research information and I promote their work on Twitter’s #FF (#FridayFollow). According to Google Analytics, I have had absolutely no click-thrus from the Pinterest boards, but LinkedIn has produced a few hits. The Paper.li community has generated repeated hits for the book reviews. I retweet the Paper.li posts, highlight the publishers, and that in turn, increases hits. Aside from the increased exposure, there are other benefits to all the work that goes into creating and maintaining both sites. A Christian writer subscribed after reading the ‘About NBR’ blurb. We chatted through FB, discovered we live three hours from each other, and a few weeks ago, I had the privilege of taking a look at an ARC of her book that was in the final edit stage. Three weeks from now, I will attend her book signing, and take some friends along. So much fun! For me, it has been all about building relationships within the FB, Twitter, and Paper.li communities. Some of those relationships were established after I did guest blogs about research for the crime fiction work, some after attending conferences. But a few have begun just because people like what I write or I like their work and promote them. I have met a few of the fans in person – what a blessing to be able to do so! Does social media help you? Where do you focus your efforts? Patti Phillips is a transplanted metropolitan New Yorker/north Texan, now living in the piney state of North Carolina. Her best investigative days are spent writing, cooking, traveling for research and playing golf. Her time on the golf course has been murderously valuable while creating the perfect alibi for the chief villain in her novel, One Sweet Motion. Did you know that there are spots on a golf course that can’t be accessed by listening devices? 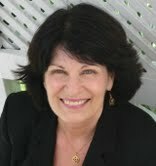 Ms. Phillips (writing as Detective Charlie Kerrian) can be found at www.kerriansnotebook.com. Her book reviews can be read at www.nightstandbookreviews.com. This entry was posted in Marketing and Promotion, Publishing, Social Media and tagged Kerrian's Notebook, Nightstand Book Reviews, Patti Phillips by Greg Johnson. Bookmark the permalink. Thanks so much for a great post, Patti. I think this information is fascinating. You’re very welcome, Jordyn. It’s wonderful when authors can support each other in a positive way.The results also point to the value of developing that ‘long tail’ career we hear so much about. There’s alot of valuable info here. Great! I’m delighted that you found it useful.